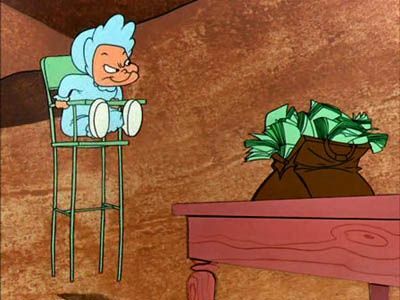 Baby-faced Finster robs a bank, but the baby carriage with the money in it goes down Bugs' rabbit hole. 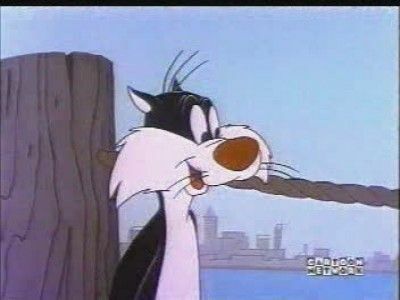 Sylvester Cat is a guard at a Mexican experimental laboratory where mice are confined for research. 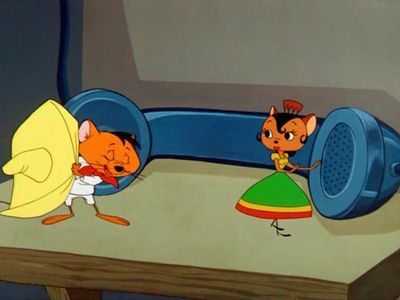 The families of the captured mice place a call to Speedy Gonzales, the fastest mouse in Mexico, to help them rescue their compadres. 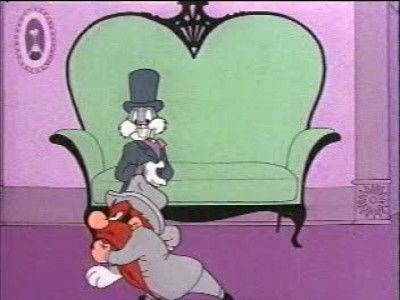 Speedy comes and engages in the usual battle of wits and feet with Sylvester. 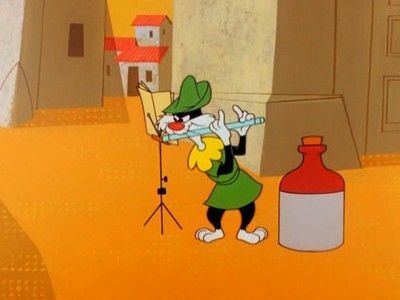 Sylvester plays Mexican music on his flute in an attempt to catch all the mice. They can't resist the music so they come dancing out of their mouse hole, one at a time. 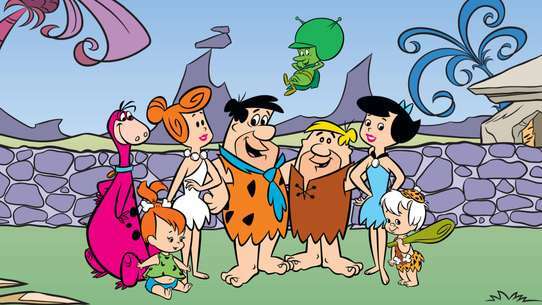 Speedy is the only one who resists. 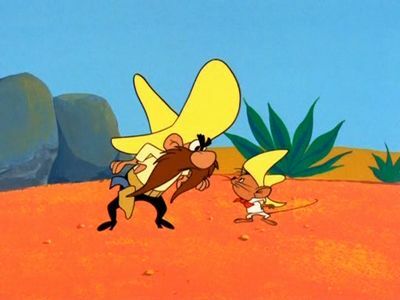 Later in the cartoon Slowpoke Rodriguez comes to visit. 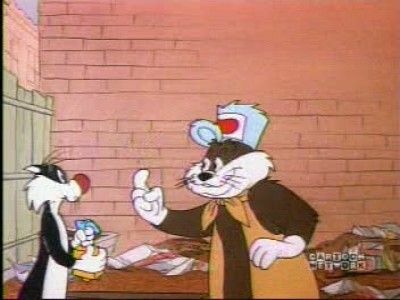 He is hungry but is too slow to get food out of the kitchen without getting caught by Sylvester. 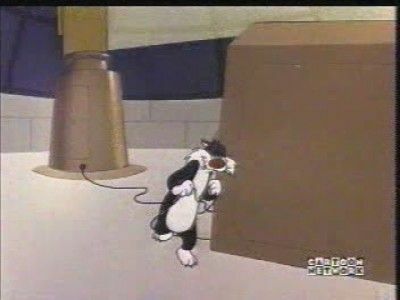 Speedy goes for him but gets stuck in a glue trap set up by Sylvester. 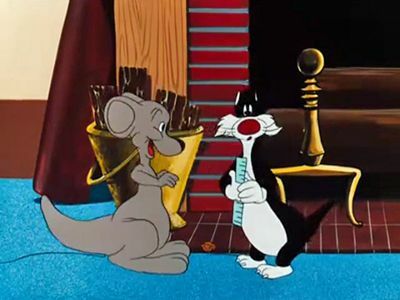 Lucky for him he had a bottle of tobasco sauce in his hand and when Sylvester lifts him up to eat him, the tobasco sauce poors into his mouth. The "heat" sends him through the roof and he gets badly injured and has a cast on his leg. 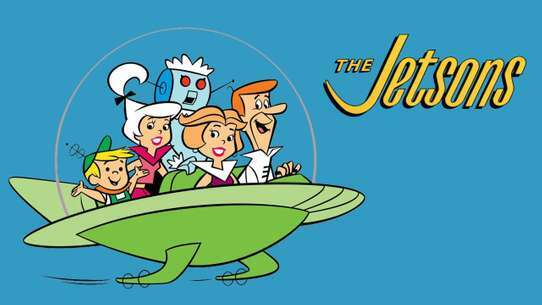 At the end Speedy asks him if he wants his musical instrument back. He says no and Speedy says "well, ok". 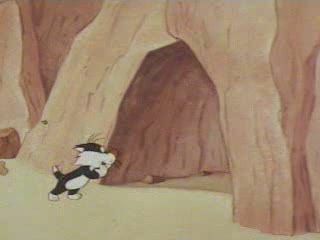 Then he starts playing the same music, forcing Sylvester to dance and hurt his already casted leg even more. 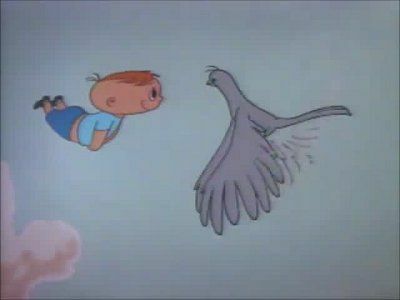 Young Henery Hawk's father regretfully admits their family's shame: they hunt and eat chickens. 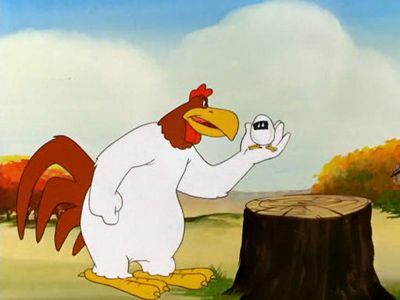 Henery set off to find one, and comes across Foghorn Leghorn, where the loudmouth rooster is engaged in his favorite pastime, playing tricks on a grumpy dog. 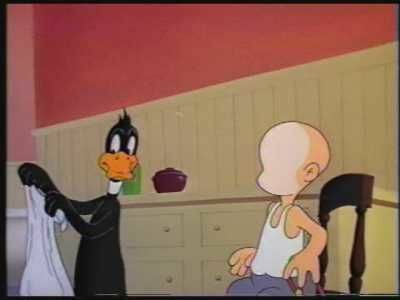 Sinkin' in the Bathtub was the very first Warner Bros. theatrical cartoon short as well as the very first of the Looney Tunes series. 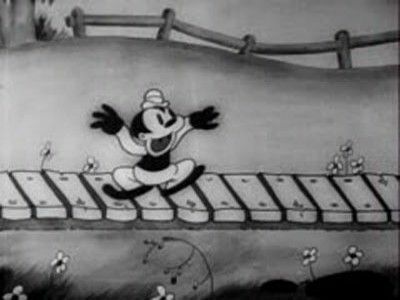 The film opens with Bosko taking a bath while singing "Singin' in the Bathtub". 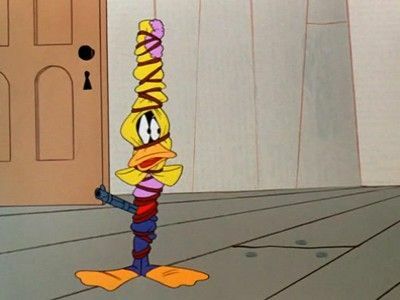 A series of gags allow him to play the shower spray like a harp, pull up his pants by tugging his hair, and give the limelight to the bathtub itself which stands on its hind feet to perform a dance. 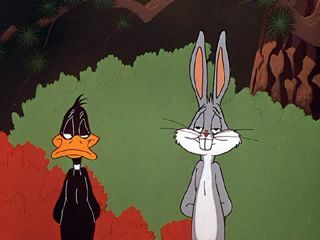 The cartoon finds Bugs Bunny and Daffy Duck again arguing over which of them is “in season” (it is really Duck Season as Daffy says in the beginning), while a befuddled Elmer Fudd tries to figure out which animal is telling the truth. 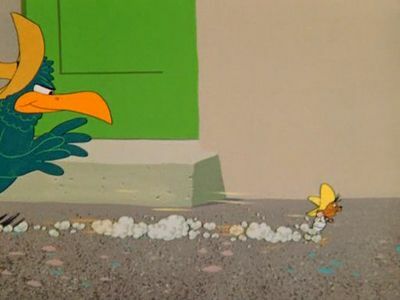 Between using sneaky plays-on-words, and dressing himself in women's clothing (including a Lana Turner-style sweater), Bugs manages to escape unscathed, while Daffy repeatedly has his beak blown: off, upside-down, or sideways, by Mr. Fudd. 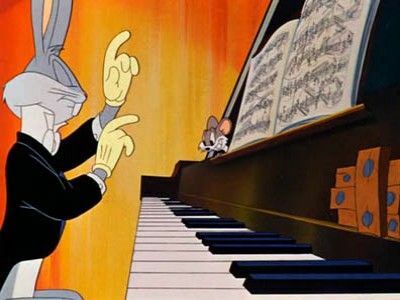 At a concerto, a pesky mouse keeps interfering with Bugs' piano playing. 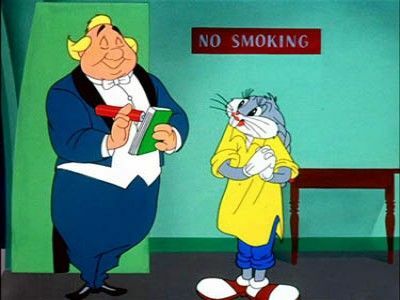 Giovanni Jones, a very well known and fantastic opera singer, is constantly interrupted by Bugs' folk music while he is trying to rehearse for a big performance. 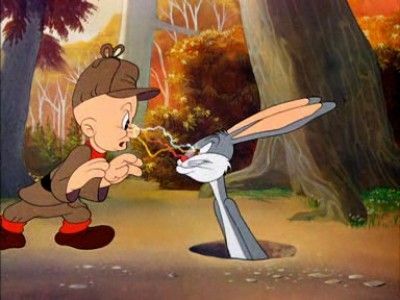 This time Elmer Fudd goes after Bugs using hypnotism, only the plan backfires. 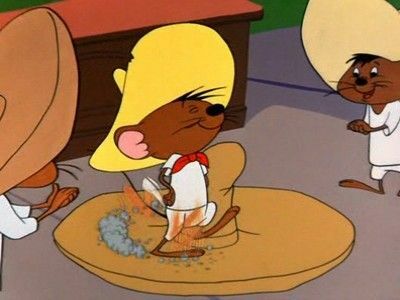 Speedy Gonzales, the fastest mouse in all Mexico, runs to the rescue of his two drunken rodent friends, Pablo and Fernando, who keep wandering into the hungry clutches of an alley cat. 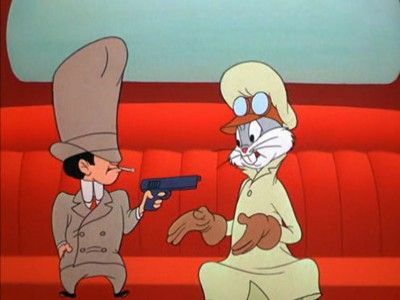 When Bugs calls a cab he doesn't know it's the getaway car for a couple of bankrobbers (he does know the capital of Nevada). 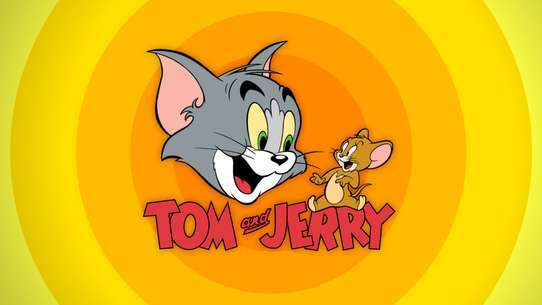 Marc Antony tries to scare off a cute little kitten, Pussyfoot, only to realize the cat is not scared of him, instead using him as a bed and resting on his back. The dog falls for the cat and decides to adopt it and to bring it home. Upon his arrival, his human owner (seen only from the waist down), tired of picking up his things, warns him not to bring a single thing more inside the house. Afraid of his mistress but unable to get rid of the kitten, the dog tries to hide the cat by pretending it is a wind-up toy or a powder puff. He barely finds the time to hide it in a flour bin before his mistress enters the kitchen. 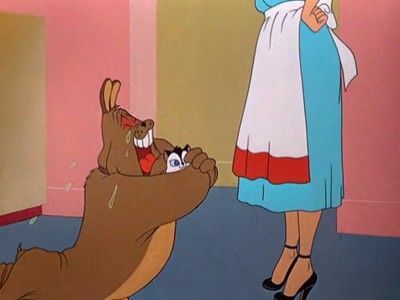 Terrified, he looks on as she takes some flour out of the box to bake some cookies. The cat is poured into the mixing bowl without the lady realizing it. Marc Antony unplugs the mixer before she can pulverize the poor kitten. Tired of the dog's antics, his mistress throws him out of the house while, unseen, the cat extracts itself from the bowl. In the backyard, the bulldog watches through a window as what he thinks is his kitten is mixed, rolled and cut before being put in the oven. Sobbing and heartbroken, he barely finds the strength to take the cat-shaped cookie his mistress gives to him and place it lovingly on his back where his kitten used to rest. 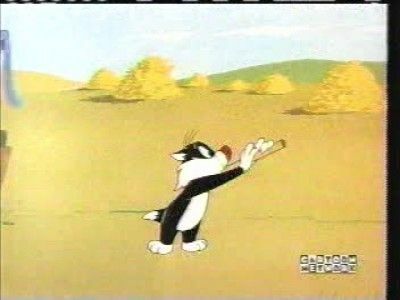 Only then does he hear the little meow of Pussyfoot right in front to him. He kisses the cat as his mistress realises he has a pet. To the dog's surprise, she allows him to keep the cat as long as he takes care of it. 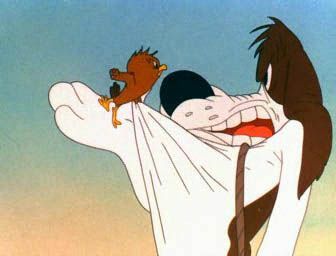 Once again, Pussyfoot goes to sleep on Marc Anthony's back as the content dog smiles. Ralph is a daydreamer... and he is quick to adapt his current surroundings into new, adventurous dreams.